The visitors started the brighter but Joe Ralls could not beat Julian Speroni, while Ben Turner headed over. Palace regrouped and went ahead on 43 minutes when Gardner scored from Darren Ambrose's cross from the left. Kenny Miller had the ball in the net early in the second half but the goal was disallowed for a foul on Speroni. Cardiff's Scottish striker also went close in the first period when his shot curled just wide. 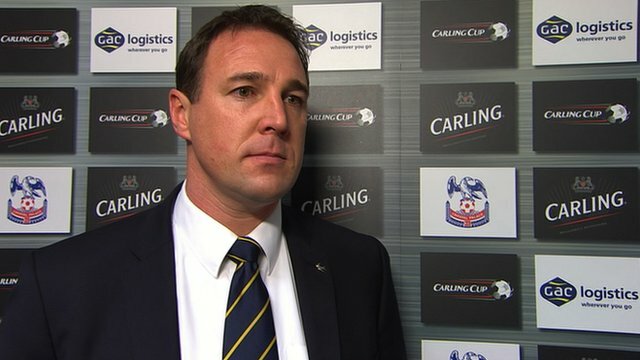 Although Malky Mackay's side did not carve out too many clear-cut chances, they will be confident they have a good chance of overturning the deficit in a fortnight's time. The Bluebirds hold the second best home record in the Championship and this was only their third loss in 15 games. 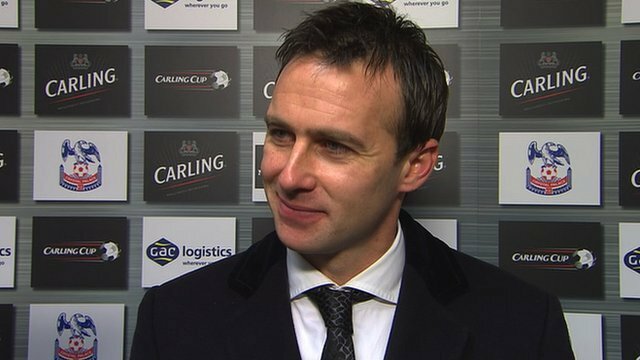 But the victory for Palace was a case of triumph over adversity given the virus that had hit Dougie Freedman's squad this week and they will hold the slight advantage as the two teams aim to become the first Championship side to reach the final since 2001. Buoyed by having beaten Manchester United at Old Trafford in the last round, this performance will give the Eagles further heart, even if they found themselves under early pressure from a succession of long throw-ins by Aron Gunnarsson. Turner failed to direct his header on target from one of them, while Palace keeper Speroni had to be decisive with his handling when saving Ralls' early shot. Miller also hit a curling shot from the right just wide. Palace were being overrun in midfield but they began to redress the balance, retaining the ball better, while Wilfried Zaha showed some neat touches. The highly-rated Zaha helped set up a good chance for Kagisho Dikgacoi, but the South African's shot was saved by Tom Heaton following Chris Martin's lay-off. Heaton, the only Cardiff player who had featured in their FA Cup defeat by West Brom on Saturday, had looked comfortable dealing with several fizzing Darren Ambrose set-pieces. But he was slow to reach another from the left flank and Gardner nodded in a simple finish from close range after the keeper was beaten in the air by Mile Jedinak. Apart from that FA Cup reverse, Mackay's side have been on a good run of form. They responded strongly after the break and had the ball in the net when Miller headed in from a corner. Referee Mike Dean had spotted a push on Speroni by Joe Mason, however. As the second half wore on, there was a sense that Cardiff were content to settle for the 1-0 scoreline - they certainly did not lay siege to the Palace goal. When they did manage to threaten, they were met with some resolute Palace defending, with former Spurs defender Gardner suffering a cut head as his side ensured a clean sheet. The Eagles had a late scare when Peter Whittingham's deflected shot bounced narrowly wide, but they held on to the lead as they aim to reach their first League Cup final with the tie delicately poised. 90:00+4:06 The final whistle is blown by the referee. 90:00+2:54 Inswinging corner taken by Don Cowie, Julian Speroni manages to make a clearance. 90:00+2:45 Centre by Andrew Taylor, blocked by Darren Ambrose. 90:00+1:42 Effort on goal by Andrew Taylor from just inside the area clears the crossbar. 90:00+0:57 Peter Ramage challenges Ben Turner unfairly and gives away a free kick. Ben Turner restarts play with the free kick. 89:41 Corner from left by-line taken by Don Cowie. 89:09 Inswinging corner taken by Don Cowie from the left by-line, Patrick McCarthy manages to make a clearance. 89:09 Substitution Wilfried Zaha goes off and Jermaine Easter comes on. 88:28 Effort from the edge of the box by Peter Whittingham goes wide of the left-hand upright. 86:56 Effort on goal by Aron Gunnarsson from just inside the penalty area goes harmlessly over the target. 86:03 Corner taken right-footed by Don Cowie from the left by-line, Kenny Miller takes a shot. 85:52 Peter Whittingham produces a cross, clearance by Anthony Gardner. 83:43 Free kick awarded for an unfair challenge on Darren Ambrose by Joe Ralls. Shot comes in from Darren Ambrose from the free kick. 83:43 Booking Joe Ralls goes into the referee's book for unsporting behaviour. 78:42 Shot on goal by Stephen McPhail from inside the box goes harmlessly over the target. 77:24 Substitution Sean Scannell on for Chris Martin. 76:22 Stephen McPhail challenges Chris Martin unfairly and gives away a free kick. Darren Ambrose has a direct shot on goal from the free kick. 75:48 Aron Gunnarsson takes a shot. Save made by Julian Speroni. 75:22 Darcy Blake delivers the ball, Ben Turner takes a shot. Blocked by Peter Ramage. 73:59 Substitution (Cardiff) makes a substitution, with Stephen McPhail coming on for Joe Mason. 73:15 Free kick awarded for a foul by Darcy Blake on Wilfried Zaha. Anthony Gardner takes the indirect free kick. 72:23 A cross is delivered by Jonathan Parr. 70:12 The ball is swung over by Darcy Blake, save by Julian Speroni. 69:46 The offside flag is raised against Glenn Murray. Indirect free kick taken by Ben Turner. 69:18 A cross is delivered by Darren Ambrose, clearance by Aron Gunnarsson. 68:17 The offside flag is raised against Glenn Murray. Tom Heaton restarts play with the free kick. 67:55 Darcy Blake concedes a free kick for a foul on Wilfried Zaha. Mile Jedinak restarts play with the free kick. 66:01 Unfair challenge on Chris Martin by Joe Ralls results in a free kick. The ball is swung over by Darren Ambrose, Headed effort from inside the area by Anthony Gardner misses to the left of the goal. 65:26 Substitution Darcy Blake joins the action as a substitute, replacing Kevin McNaughton. 61:34 The ball is swung over by Wilfried Zaha, Mark Hudson makes a clearance. 61:23 The ball is swung over by Peter Ramage. 60:42 The ball is sent over by Darren Ambrose, clearance made by Mark Hudson. 59:20 The ball is sent over by Andrew Taylor, save by Julian Speroni. 55:54 Inswinging corner taken by Peter Whittingham, Unfair challenge on Julian Speroni by Joe Mason results in a free kick. Indirect free kick taken by Julian Speroni. 55:41 Effort from inside the area by Joe Ralls misses to the right of the target. 55:16 The ball is sent over by Don Cowie, clearance made by Patrick McCarthy. Correction - 54:14 Anthony Gardner concedes a free kick for a foul on Kenny Miller. Peter Whittingham takes the indirect free kick. 54:14 Free kick awarded for a foul by Anthony Gardner on Kenny Miller. Peter Whittingham takes the free kick. 53:04 Corner from the right by-line taken by Peter Whittingham, Julian Speroni makes a save. 52:27 Wilfried Zaha concedes a free kick for a foul on Don Cowie. Free kick taken by Kevin McNaughton. 51:59 The ball is delivered by Jonathan Parr, Don Cowie manages to make a clearance. 51:16 Kenny Miller is adjudged to have handled the ball. Julian Speroni takes the free kick. 49:36 Darren Ambrose takes a shot. 49:27 Centre by Wilfried Zaha, Ben Turner makes a clearance. 46:05 The ball is swung over by Wilfried Zaha, Mark Hudson makes a clearance. 45:46 Centre by Jonathan Parr, blocked by Don Cowie. 45:16 Chris Martin gives away a free kick for an unfair challenge on Peter Whittingham. Peter Whittingham takes the indirect free kick. 45:00+1:18 The first half comes to an end. 42:42 The assist for the goal came from Mile Jedinak. 42:42 GOAL - Anthony Gardner:Crystal Palace 1 - 0 Cardiff Anthony Gardner scores a headed goal from inside the six-yard box. 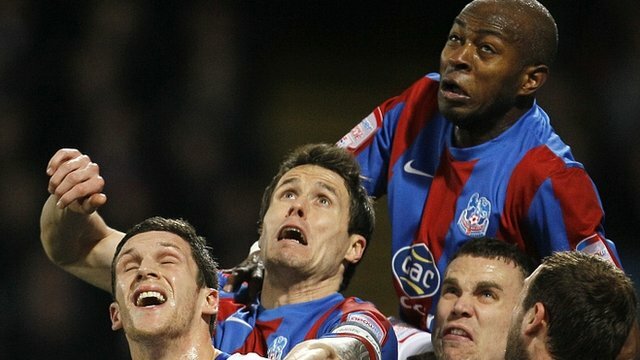 Crystal Palace 1-0 Cardiff. 40:37 Joe Ralls has an effort at goal from just inside the box that misses to the right of the goal. 39:49 Glenn Murray is ruled offside. Tom Heaton takes the free kick. 39:11 Foul by Mark Hudson on Glenn Murray, free kick awarded. Darren Ambrose crosses the ball from the free kick right-footed from left wing. 37:28 A cross is delivered by Peter Ramage. 36:08 Darren Ambrose fouled by Don Cowie, the ref awards a free kick. Darren Ambrose delivers the ball from the free kick right-footed from left wing, Tom Heaton makes a save. 34:26 The official flags Chris Martin offside. Tom Heaton restarts play with the free kick. 32:21 Free kick awarded for an unfair challenge on Mile Jedinak by Mark Hudson. Indirect free kick taken by Julian Speroni. 31:25 Corner taken left-footed by Peter Whittingham, Kevin McNaughton sends in a cross, Jonathan Parr makes a clearance. 30:38 Free kick awarded for a foul by Chris Martin on Peter Whittingham. Free kick taken by Ben Turner. 30:04 Kenny Miller has an effort at goal from the edge of the box that misses to the right of the target. 29:19 Free kick awarded for a foul by Joe Ralls on Kagisho Dikgacoi. Kagisho Dikgacoi takes the indirect free kick. 27:34 Corner taken by Don Cowie, clearance made by Chris Martin. 27:26 Joe Ralls sends in a cross, blocked by Peter Ramage. 26:07 Kagisho Dikgacoi takes a shot from 12 yards. Save by Tom Heaton. 24:49 Unfair challenge on Chris Martin by Mark Hudson results in a free kick. The free kick is delivered right-footed by Darren Ambrose from left wing, clearance made by Kenny Miller. 21:39 Inswinging corner taken from the left by-line by Darren Ambrose, clearance by Tom Heaton. 19:29 Inswinging corner taken left-footed by Peter Whittingham, Ben Turner has a header from close range and clears the crossbar. Correction - 18:27 The ball is crossed by Peter Ramage, clearance made by Peter Whittingham. 18:27 The ball is delivered by Peter Ramage, Peter Whittingham makes a clearance. 17:25 A cross is delivered by Peter Ramage. 14:54 The ball is swung over by Andrew Taylor, blocked by Peter Ramage. 14:06 Jonathan Parr fouled by Kevin McNaughton, the ref awards a free kick. Anthony Gardner takes the free kick. 12:51 Outswinging corner taken by Darren Ambrose, Headed effort from deep inside the area by Glenn Murray misses to the left of the goal. 12:35 Wilfried Zaha takes a shot. Blocked by Andrew Taylor. 11:45 Corner taken by Don Cowie from the left by-line, save by Julian Speroni. 10:56 Joe Ralls takes a shot. Save made by Julian Speroni. 10:42 Kenny Miller crosses the ball. 9:32 The ball is crossed by Peter Ramage, save by Tom Heaton. 4:57 Kagisho Dikgacoi concedes a free kick for a foul on Kevin McNaughton. Direct effort from the free kick comes in from Peter Whittingham, Mile Jedinak gets a block in. 1:56 Corner taken by Peter Whittingham from the right by-line, Patrick McCarthy manages to make a clearance. 1:45 The ball is delivered by Don Cowie, clearance made by Glenn Murray.